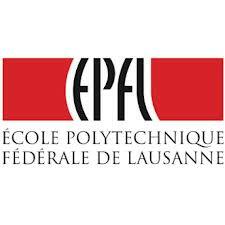 We are pleased to acknowledge that a post-doc position on natural capital accounting is open at the EPFL (Ecole Polytechnique Féderale de Lausanne), founding partner of the Michel Serres Institute. The profile and application conditions are in appendix. Deadline : March 31st. EPFL, in collaboration with the Michel Serres Institute in Lyon, is starting a 3-year research project dealing with modelling and evaluating a region’s renewable natural capital. The project aims at developing appropriate tools enabling measuring the production and the consumption of the capital. The approach is informed by the System Environmental­‐Economic Accounting (SEEA) of the United Nations Statistical Commission (2012) and by the ecosystem accounting experiments conducted by the European Environment Agency. The latter has the specific characteristic of defining an integrated framework following the rules of double-­‐entry and quadruple-­‐entry bookkeeping. While the first part of the SEEA (so-­called ‘Central Part’) is an international statistical standard that aims at being implemented by the national statistical institutes, the second part is experimental. Among the first experiments of ecosystem or natural accounting, the one conducted by the European Environment Agency (EEA / EEA) has the specific characteristic of defining an integrated framework following the rules of double-­entry and quadruple-­entry bookkeeping. The first accounts are currently produced in a ‘top‐down’ approach emphasizing the overall vision of Europe while having a large enough geographic detail afforded by the use of databases structured by a standard kilometre grid. The methodological background has been published in a technical report under the name of Ecosystem Capital Accounting (ECA). The purpose of the post-­doc research is to test and possibly validate the feasibility and relevance of ecosystem capital accounts (SCEEA‐CEC) or, said differently, the contribution of natural capital to productive systems, in a regional context (the Rhone river basin). The approach should cover the following aspects : availability, collection and processing of geographic and monitoring data and statistics, relevance of the assessments in natural and social sciences, relevance of the information tools ability to support the regulatory and economic instruments of environmental governance of institutional and territorial spaces. 1. Scientific and technological approaches to natural environments. 2. Economic, social, and political geography. 3. Geographic information systems, in an extended meaning including cartography and geographical analysis and modelling.